26 Oct 2018 --- The food industry is undergoing massive, disruptive changes, with innovative start-ups in a range of disciplines vying to tackle global nutrition issues. One of these, Amai Proteins, is aiming to disrupt the global sweetening market by offering sweet proteins that are fit for mass food production. 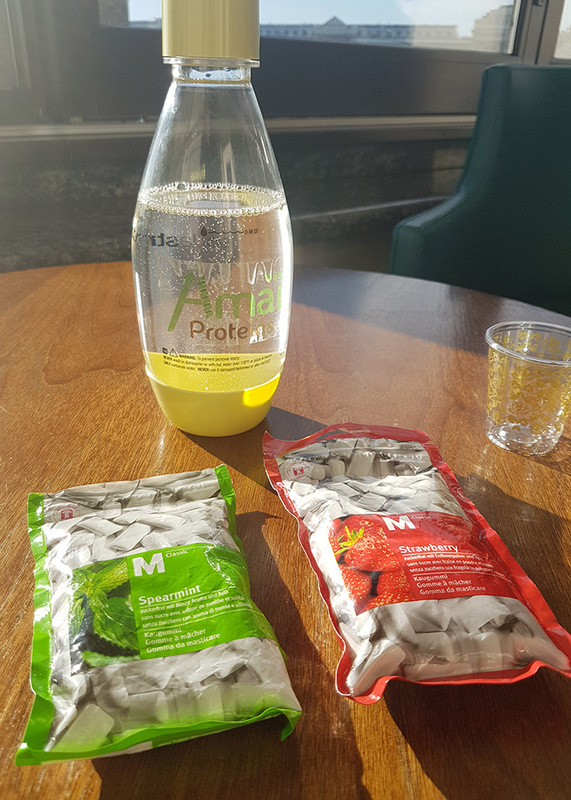 NutritionInsight spoke with Amai Proteins CEO and Founder Dr. Ilan Samish at Future Food-Tech in London. Established at the end of 2016, Amai Proteins produces healthy sweet proteins as a sugar substitute. The sweeteners contain zero calories and have a glycemic-index of zero. “After 20 years in academia and dwelling in the topic of computational protein design, I figured out that the greatest health challenge in the world today is sugar consumption, killing more people than gunpowder. The technology of computational protein design can dramatically help this issue by taking sweet proteins and using them for the mass food market,” Samish says. Click to Enlarge“Since the 1970s, sweet proteins have been well known and found in small plants along the equatorial belt, as well as Malaysia, China and West Africa. These are proteins, and unlike sugar, proteins are good for the body. Like sugar, they adhere to sweet receptors, giving us a good sensation, but then already in the upper GI tract, they are digested like a protein,” he says. However, the ones found in nature experience issues with stability, temperature, PH, acid environments and the issue of a longer aftertaste, which is not the case with Amai Protein's product. 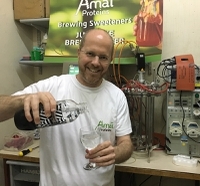 Although this is not the first sweet protein in the market, Samish says the team at Amai Proteins has been able to use technology to bypass the supply problems – and therefore costs – tarnishing other sweet proteins’ marketing chances. One of the biggest markets for Amai Proteins is the beverages category since 47 percent of all added sugar in the market occurs in beverages. Although regulatory approval in some areas will still take some time, Samish says the company has had “good talks” with the US FDA and EFSA. Because the sweet proteins are so high in intensity, there are issues in some applications when it comes to bulking agents. However, Samish says Amai Proteins has experts from varying disciplines on hand to overcome these challenges. As previously reported on NutritionInsight’s sister webpage, FoodIngredientsFirst, Amai’s success is also due to the vast collaborations it has with several academic institutions and corporate in R&D and food technology alike. With SodaStream, they formulated several flavors of 50 percent protein-sweetened soda with the other half being either sugar or stevia. Another collaboration that was launched is with Danone and with Strauss on beverage and dairy applications. However, the company appears not to be planning any major deals for quick commercialization. “As a start-up with an interesting story, we were quickly approached by some partners, some of which wanted very quick commercialization and exclusivity. My goal is to have a global impact on sugar reduction; it’s not to sell something for a quick buck,” Samish says about the unique situation start-ups in the food space currently face. “Now is a special time in the food industry as it is undergoing a very massive, disruptive change. Some of the food companies, including bigger ones, already understand there is an issue that you need to take some long-range interaction [with start-ups]. We have already said no to some tempting offers because they requested too much exclusivity. We try to confine some of our interactions to small projects where we won’t be confined by exclusivity,” he concludes.